Following the global financial crisis, capital for riskier more illiquid assets is far less available from the banking sector. The lessons learned from the prior crisis is that the regulatory response has created a situation where banks now have to hold more capital and are more restricted in lending to this asset class. Today Alternative Investment Vehicles (AIVs) play a larger role in stimulating economic growth and in investment portfolios. These requirements may be restricting lenders (aka: protecting consumers), but the need for more regulation and transparency was all-apparent and reviewed and, there is no question, processes had to be put in to place to protect the taxpayers – those that are directly working with financial institutions and those that are in the shadow of. Had we not had a shake down in 2008, it would have come at a later date. The timing of which was all too predictable given the markets were managed and run on the platform of greed – chillingly portrayed by Michael Douglas twenty years prior. 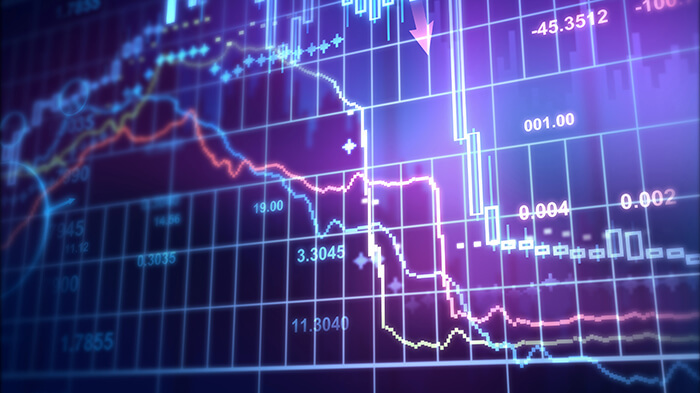 The financial crisis shook the financial markets profoundly affecting the global economy. Numerous innovative financial instruments were blamed for causing the crisis, (Collateralized Debt Obligations (CDOs), Mortgage Backed Securities (MBS), and Credit Default Swaps (CDS)). Although these instruments were originally devised to manage credit risk and implement risk-sharing efficiently, thereby improving the stability of the financial markets…in contrast, these innovative financial instruments failed to attain their original goals – what is important to understand there is that the models were in place, it was humans that found the loopholes in the models to exploit opportunities while following the rules. What are other models are open for exploitations – Credit risk models used by rating agencies such as Fitch, Moody’s, and Standard and Poor’s, are standard models commonly used (with very little change) and widely accepted since the 60” – these all failed to predict the default rates of subprime mortgages and greatly overrated subprime mortgage- backed securities. Outcome of modeling error: write-downs of >$500 billion. Sure, we can point blame at the risk models, innovative instruments that use, move and deploy – but the real blame is in the hands of the large financial institutions that utilize these instruments, take risks within the regulations and deploy…all fun and games until someone looses a few hundred billion (but who’s counting). The financial crisis of 2007–2010 led to widespread calls for changes in the regulatory system. In June 2009, President Obama introduced a proposal for a “sweeping overhaul of the United States financial regulatory system, a transformation on a scale not seen since the reforms that followed the Great Depression”. In response to the crisis/need/recession, Obama implemented The Dodd–Frank Wall Street Reform and Consumer Protection Act (Pub.L. 111–203, H.R. 4173; commonly referred to as Dodd–Frank); it was signed into federal law by President Barack Obama on July 21, 2010. To note, initially called “Restoring American Financial Stability Act of 2010“. “To promote the financial stability of the United States by improving accountability and transparency in the financial system, to end “too big to fail”, to protect the American taxpayer by ending bailouts, to protect consumers from abusive financial services practices, and for other purposes”. In his first order, Trump will issue a broad directive meant to garner input from the heads of federal regulatory agencies on areas for reform and to challenge aspects of the Dodd-Frank Act. (aka: Restoring American Financial Stability). Although, the move won’t make any immediate changes to the agencies or their policies, it will solicit recommendations. (Note to self: Earlier on Friday, Senator Elizabeth Warren called on Cohn to recuse himself from matters directly or indirectly related to Goldman Sachs due to the $285 million he left the Wall Street firm with). Even more, the executive order came after Trump met with a team of all-star CEOs on his advisory council, that includes Jamie Dimon, the CEO of JPMorgan. Interesting…if you consider that sets the stage for rewriting US financial regulation in an effort to encourage more lending to American businesses. (Another note and opinion: Sanders said Trump’s Cabinet appointments and advisers directly contradict his pledge to re-institute the Glass-Steagall Act, a regulation that separated commercial and investment banks, which was repealed under Bill Clinton). There’s more (please, grab popcorn)….a second action will direct the Department of Labor to cease implementation of an Obama administration rule on retirement investment advisers, which is supposed to take effect in April. That measure, called the “Fiduciary Rule,” (dictionary meaning of Fiduciary: “Trust”) requires retirement advisers to always act in their clients’ best interests. The Trump administration official said the rule was a “complete mess” with a litany of unintended consequences for changes to the Dodd-Frank Wall Street reform law (Kevin Liptick, CNN). Seriously, Trump – you had me at appointing Gary Cohn…the rest is an unfortunate reality….but then, again, we are less focused on this “reality than on whether you wear a bathrobe (please say “yes”) or the travel ban, or that Keystone XL (which you will financially benefit from)…or….throw another cat in the room. We need regulation…I stand behind this, not just as a MBA, MSc (Finance) and my doctoral thesis based on predicting consumer default (not to mention a Corporate Governance Designation) AND, a committee member of the G20Y focused on implementing regulation in the non-bank sector…not to mention twenty-one years as CEO of a Canadian Finance Company…I stand behind this because “it matters“. I proudly wear my Canadian hat – a hat that states I am a member of a country that embraces regulation. We do not view this as a “condition” or a “roadblock”, it is, simply put “how we do business”. Sure, it is much, much harder to make money, we make less, but in the end, everyone wins. It is “how we do business”- is it flawless (no) – but it is the basis for a solid (and regulated) foundation. What does it mean? It means consumers are getting the benefit of full disclosures, that documents are provided that can be easily understood and large financial institutions, such as ours, are under the watchful eye of what we all “The Consumer Protection Act” – there are rules. And those rules are not set up to hide behind, but to abide by. What else does it mean? Investment firms and banks under the regulatory hat need to be held accountable. The truth be hold and the truth be told. If change is to happen, make change with thought – listen to those that oppose and those that add value. A board of “yes” with personal agenda’s or gain (be it some very big names) is not a board of “trust”…you cannot just eliminate trust – it is your “Fiduciary Duty” to impose it…Mr. Trump. Look north for lessons learned.